These are the jeans you were waiting for! 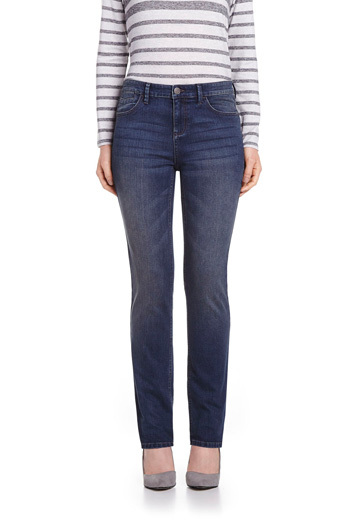 Featuring an elastic waistband for ultimate comfort, these Petite 5-pocket jeans are a must-have. Pair them with... basically everything! I love Reitmans Original Comfort jeans in the petite sizes. I have several pairs as I always worry they will stop carrying them. They are the only jeans I wear and have worn for many years. These jeans fit well and are very comfortable. However the price is a little high. Very comfy and I ll buy more for sure! These jeans are very comfortable! A little too long even though they are petite but love them anyway. These jeans are comfortable, the fabric is of a thicker material and fit looks great. These jeans fit very comfortably and are flattering as well. I have 3 pairs different shades and wear them all the time.